West Virginia PTA is excited to announce a NEW Virtual Exhibit Hall! vendors, exhibitors, and fundraising companies across the country to use at their schools. we've done all the work for you! 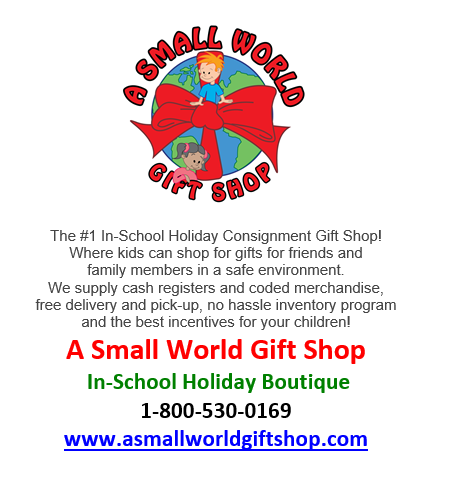 The #1 In-School Holiday Cosignment Gift Shop! Where kids can shop for gifts for friends and family members in a safe environment. We supply cash registers and coded merchandise, free delivery and pickup, no hassle inventory program and the best incentives for your children!